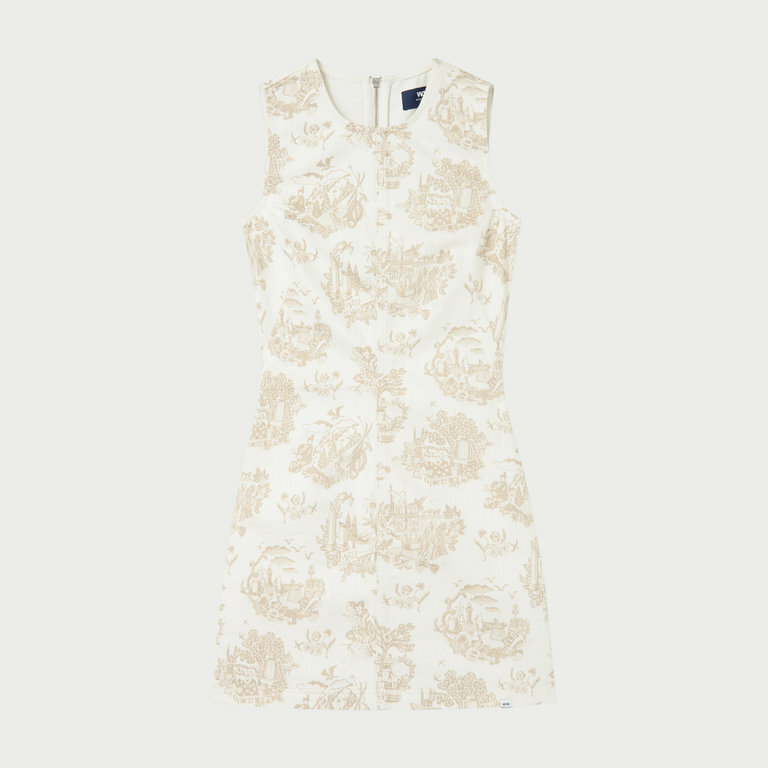 WoodWood's Amy Dress in Off-white is an denim dress with a discreet all-over print. The Amy dress is made from premium European denim. The sleeveless dress is designed in a slim fit.